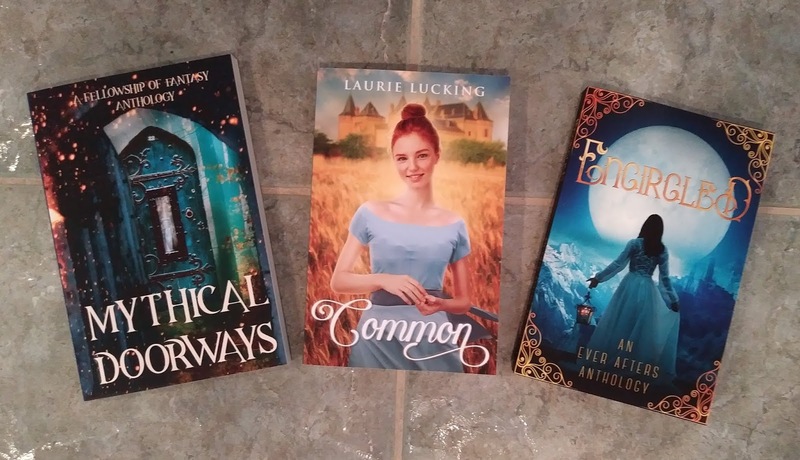 Laurie Lucking: ENCIRCLED IS HERE!!! Despite having an amazing critique group and loving the idea of putting together our own anthology of fairy tale retellings, I'll admit there were many points along this journey when I thought it was never going to happen. When several members of our group who initially started on stories had to back out. When we tried to wrap our minds around the amount of investment and work it would take to publish a high-quality product ourselves. When we faced list after list of difficult questions we had to agree on in order to move forward. 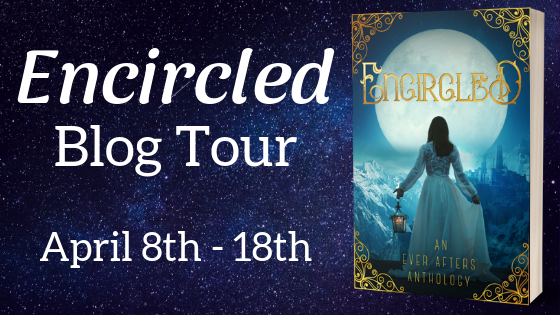 I hope you've enjoyed following the posts in the Encircled Blog Tour so far, I know I have! The tour wraps up on April 18th, so we still have a few days to go! (See this post to get the full schedule - I've been trying to update the links as each post goes live.) And did you hear about the giveaway?? The Ever Afters have teamed up with the Just-Us League to host an epic giveaway celebrating their fairy tale anthologies releasing in April! Enter below for a chance to win one of FOUR sets of prizes! 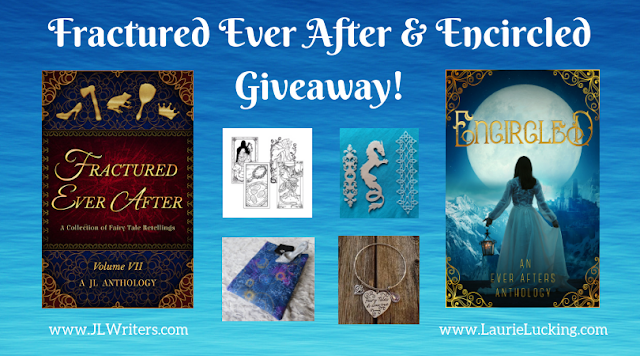 Fractured Ever After is the Just-Us League’s seventh anthology, an illustrated collection of fractured fairy tales. It can be preordered here: https://www.amazon.com/dp/B07Q5H39GH. 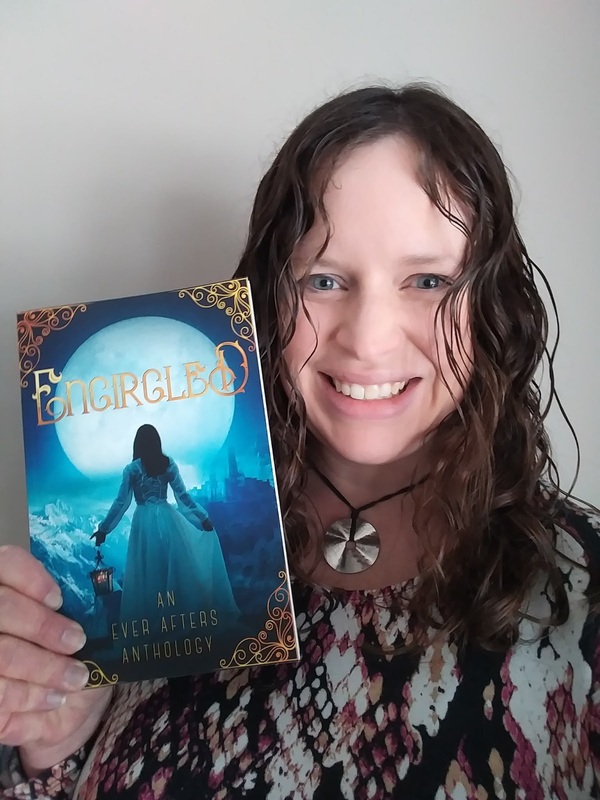 Thanks so much to everyone who has helped spread the word about Encircled through the cover reveal, blog tour, Instagram photo challenge, and in so many other ways! We're so very grateful, and we hope you love our stories! !